Want to spoil your loved one anytime throughout the year? Perhaps you have a Birthday present to find, or a Thank You gift to buy? Breathe ~ we have got you sorted! *Check the Terms and Conditions below for further details. - Another Christmas present ticked off the list!....and they will love you for it! - Walk away with the Gift Card & Holder on the spot. PLEASE NOTE: Our studio is OPEN 15 mins before & after classes. Our doors lock during class time or when no classes are running at the studio. Please check the Timetable to see when we will be open and we will ensure we get your sorted in these times, either in studio or online to help you spoil your loved ones. ​Additional Questions? Please contact Julie on 0409 133 252. 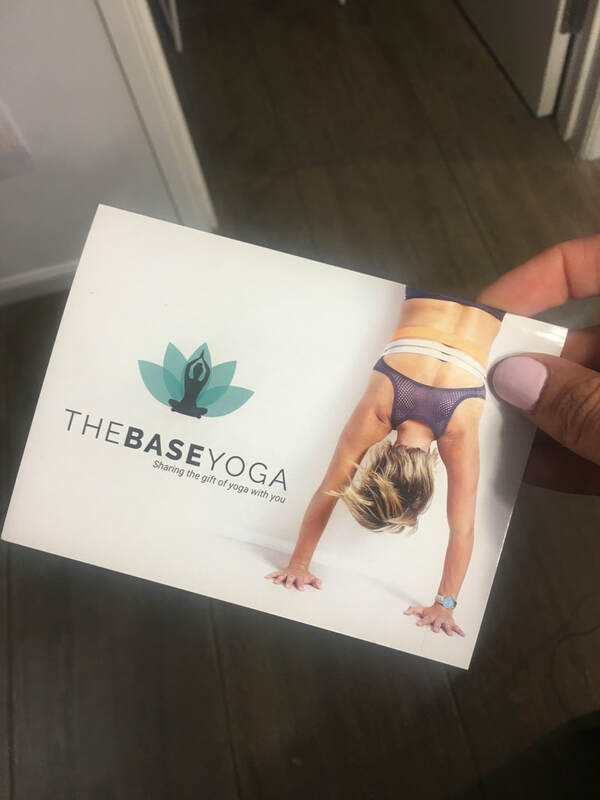 Gift Cards & Vouchers can be redeemed for classes, workshops, retreats &/or products at The Base Yoga. Gift Cards are non-refundable once purchased. Cannot be transferred to cash. Remaining funds will stay on the account and need to be used before the expiry date of the Gift Card. 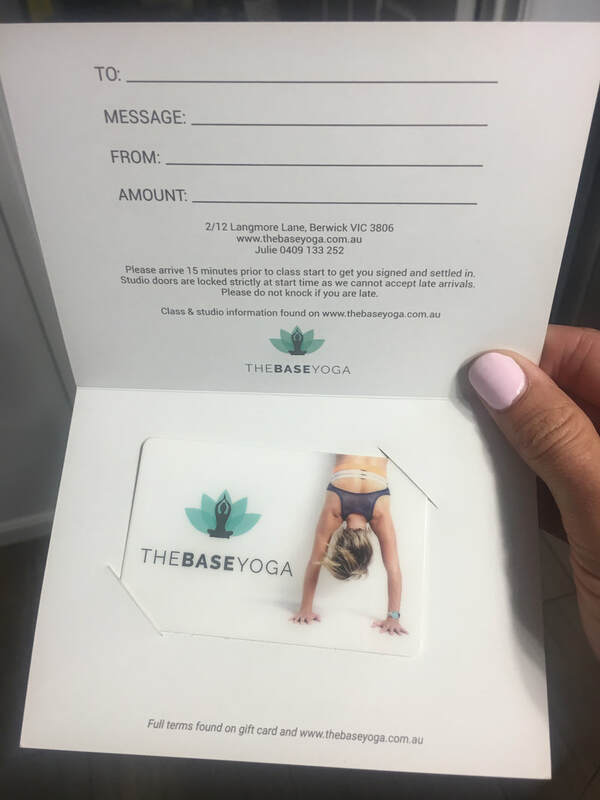 The Base Yoga gift cards must be redeemed within 6 months from the original date or purchase. Gift cards cannot be replaced if lost or stolen. Cannot be redeemed for another Gift Card/s. 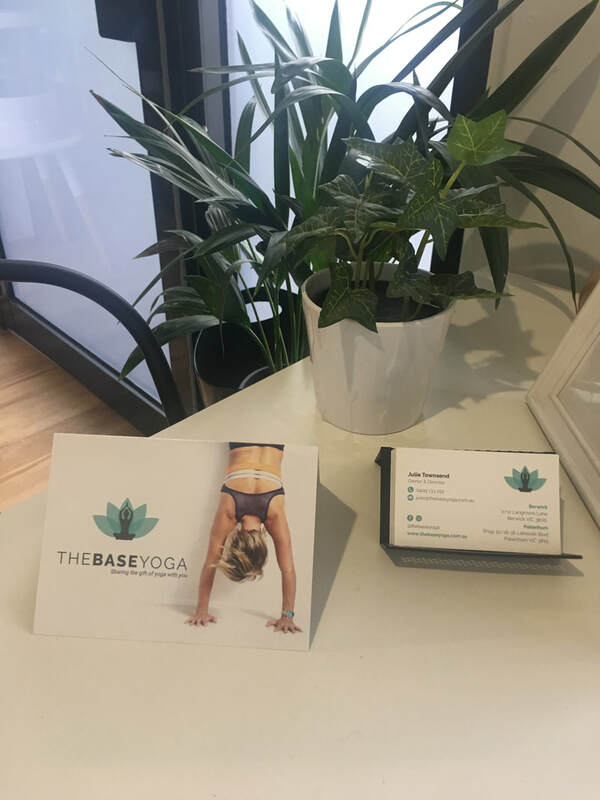 If you have any queries regarding a purchased gift card or voucher please contact us on 0409 133 252. Or if you would like to purchase a gift card or voucher, please see the two options above.